The way we buy and drive cars is about to change forever. 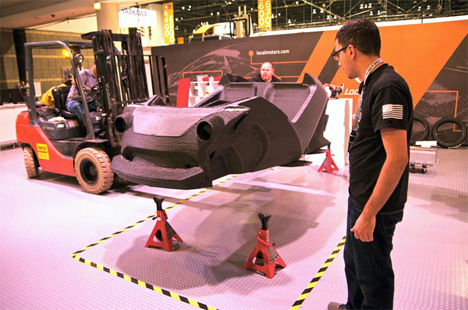 With Arizona-based Local Motors‘ 3D printed car, the manufacturing process has moved from the factory to the local workshop. 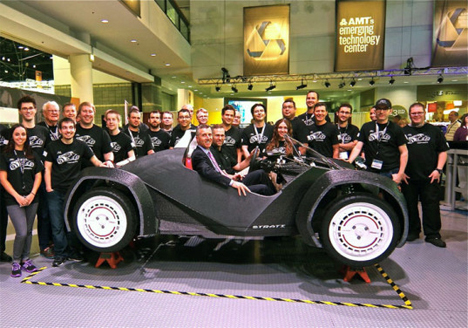 The body, seats and windshield of the car, dubbed the Strati, were entirely 3D printed using carbon fiber and plastic. The whole printing process took only 44 hours. The design is basic, with no opening doors, so the company was able to print it in one single piece. 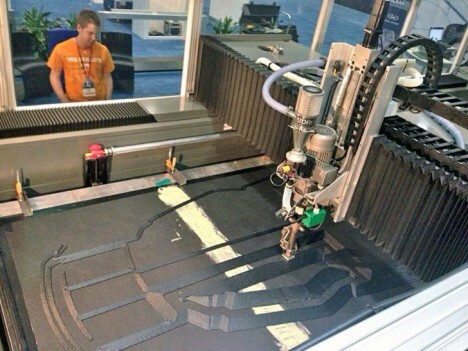 Comparing this simple approach to the complex process used to produce conventional cars creates an exciting preview of the future of car design. In the near future, could we order a new car from the shop down the street and pick it up later that week? The electric powertrain of the Strati is from a Renault Twizy, and various other parts such as the suspension, battery and wiring are sourced from a number of outside suppliers. 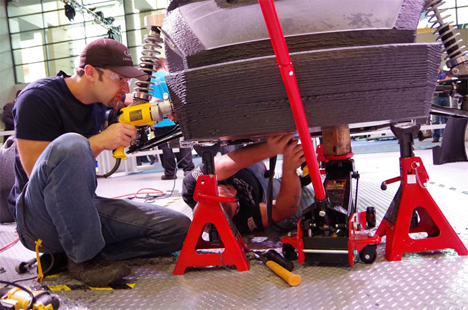 But assembling these parts in the car’s body could conceivably be achieved in a matter of days. 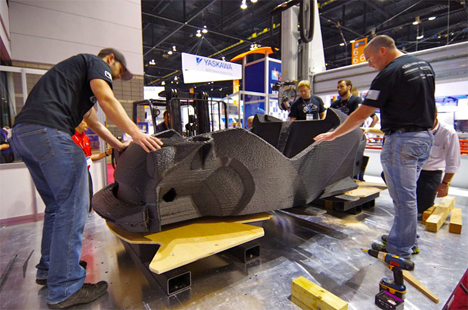 Local Motors created the Strati for the International Manufacturing Technology Show in Chicago, but it won’t be a one-off display project. The company plans to manufacture the car for sale, but they have yet to announce a price or release date. See more in Mods & Custom or under Transportation. October, 2014.